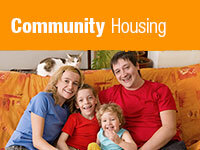 Applications and additional information are available by contacting the Manitoulin-Sudbury DSB Social Housing Dept. at 705-862-7850 or 1-800-847-6342, during regular business hours Monday thru Friday from 8:30 AM to 4:30 PM. Rent-geared-to-income is based on 30% of your gross monthly income, or if you are receiving assistance from Ontario Works or the Ontario Disability Support Program, a social assistance rent scale. Additional charges may apply depending on the location. The length of time before a unit becomes available will vary depending on the locations you choose. It may take some time because of the small number of vacancies.